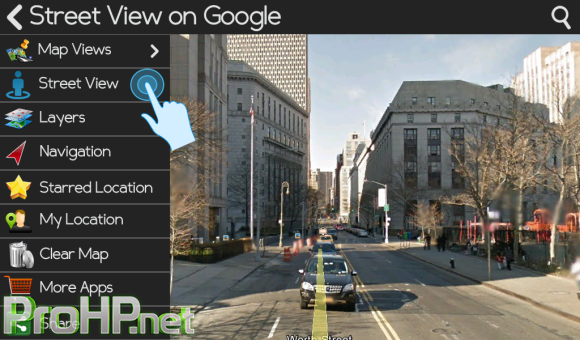 Streetview on Google v1.3 – Street view on Google provides you the actual imagery of the millions of streets of the world. Browse through popular destinations, landmarks, bridges, markets etc. Also you can view road type maps, satellite maps, Terrain maps etc. You can also check the current weather, traffic, panoramio, transit ways. Navigation option allows you to find the correct direction routes to your destination. With starred locations, you can assign a star to your favorite locations.